Footballers have often been described as artists on the pitch, but what happens when the game is depicted as art? Can art in all its forms truly capture the emotions of a match? 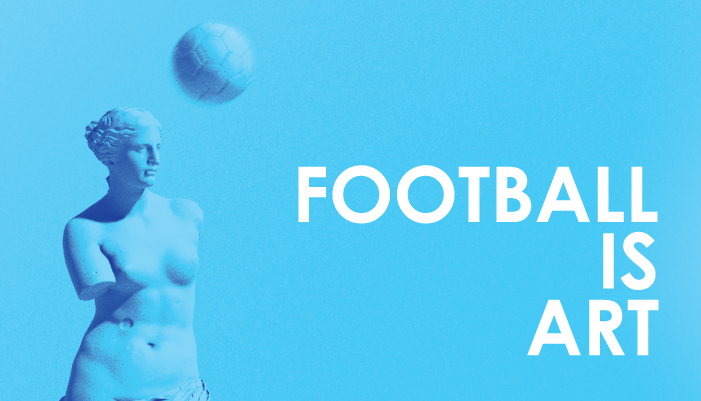 This exhibition shows how artists from Paul Nash to David Hockney have depicted the beauty, drama and passion of football and invites you to create your own 3D artworks using Google Tilt Brush. For the next six months, you can also 'paint' your own football masterpieces without the risk of ruining your lovely clothes / our lovely floor. Football Is Art is the culmination of a project funded by the National Lottery Heritage Fund to allow the National Football Museum to strengthen its collection of art and sculpture.